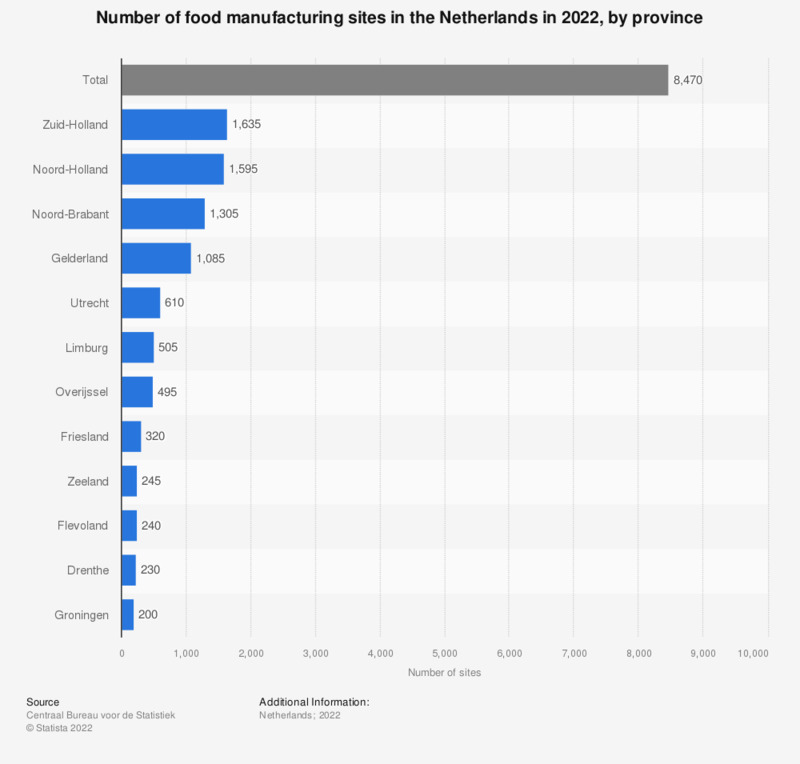 This statistic displays the total number of food manufacturing sites in the Netherlands in 2018, by province. In 2018, there were over 6,900 locations in the Netherlands where food products were produced. The province Zuid-Holland had the most locations with over 1,200 units. In the provinces Groningen and Flevoland there were 185 production locations each. Drenthe had the fewest production locations, at 180. * Every separate place, terrain or complex of places or terrains, used by a producer for the production of food. Every producer has at least one location.